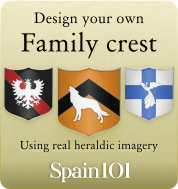 The Canary Islands have been a part of the Spanish Kingdom since 1496, but have been known to the Greeks and Romans long before that time. The islands were sometimes called “Garden of the Hesperides”, “Happy Islands”, or “Atlantida”. Some people (amongst them also historians) suspect that the Canary Islands might once have been the part of the world where mysterious Atlantis was located. The Canary Islands are the alternative for people who don't want to deal with the party tourism of the Balearic Islands. 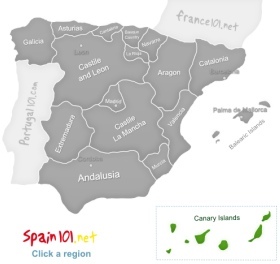 Of course, there is also plenty of tourism of the Canary Islands, especially when you go to the more popular islands like Fuerteventura and Tenerife, but it is all a bit more relaxed than on the Balearic Islands. The amazing thing about the Canary Islands is that the islands are all quite different from each other when it comes to the landscapes and also to the “feel” of the islands. The seven major islands are El Hiero, La Palma, Lanzarote, La Gomera, Tenerife, Fuerteventura, and Gran Canaria. El Hiero stands out from the other islands because of its mainly rocky coast with its cliff. There is also a beach, but the main drawing point isn't the beach but the fascinating landscapes with juniper groves in the west of the island, clear, natural swimming pools, and the fantastic scuba diving. El Hiero is an island for people who like to enjoy the beauty of nature. 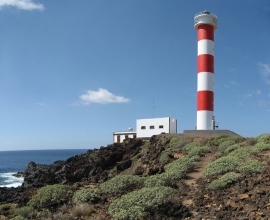 Like some of the other Canary Islands, El Hiero is a UNESCO Biosphere Reserve. La Palma is also a UNESCO Biosphere Reserve, and a very green island indeed. It is a paradise for hikers, and the main point of interest for visitors is the national park Caldera de Taburiente. It is the location of a nine kilometres wide volcanic crater which is 770 metres deep. It is a very impressive natural sight, and the best way to see it is to walk up to the view-point with the name of Mirador de la Cumbrecita. La Palma also has a quite high mountain, the 2426 metres high Roque de los Muchachos. La Palma, however, doesn't just hold interest for people who love hiking, there is also something else that's special about this green island: the astrophysical observatory on the island has some of the most modern telescopes in the world, and the astrophysical institute also organises events to make astronomy more accessible to the wider public. La Gomera is another island that looks different from the rest: with its central massif that drops down to the rocky, and some sandy, beaches with natural swimming pools (and some man-made swimming pools that perfectly fit into the environment), the island looks like a mountain that has been planted into the sea. It is a great place to explore some unique Spanish customs (you might even be able to learn the strange whistle sound the Gomerans used for communication), swim with dolphins, wander in ancient forests, and then enjoy a high quality glass of wine with a nice Spanish dinner in the evening. Tenerife is the most touristic island of the Canary Islands, and also the largest island. Tenerife is home to Spain's highest mountain: Mount Teide, which is 3718 metres high, and of course an important landmark in the landscape of Tenerife. Plenty of bananas and tomatoes are grown in the fertile valleys of this island, but the main interest for visitors are the 70 kilometres of sand beaches that can be found on the island. Playa de las Americas and Los Cristianos are the two best known beaches, and very popular – so you need to get there early if you want a good spot – or head to one of the less popular beaches. 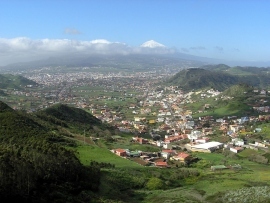 There are three main villages / town on the island: the capital Santa Cruz de Tenerife, Puerto de la Cruz (the capital for international tourists), and La Laguna, which is interesting because it is a UNESCO world heritage site. Fuerteventura is very close to Africa, and you can also see how African and Spanish cultures mix on this island. It is a surfer's paradise because the islands shape and the many different features make it a very exciting place to surf. Of course, the island is also great for explorers and for people who would like to take advantage of the beautiful beaches. The former capital of Fuerteventura, Betancuria, was founded in 1405, and thus has quite a bit of history to offer, including a cathedral. 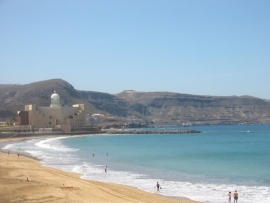 Today, the capital of Fuerteventura is Puerto del Rosario. Gran Canaria is great if you would like to be able to see deserts, tropical forests, bizarre canyons, nice beaches, and mountains covered in snow during the same trip. Gran Canaria is extremely varied in its landscape and a very interesting place to visit. Gran Canaria is also a great place if you would like to learn more of the original inhabitants of the islands. Lanzarote is the place to go to if you would like to travel to the moon. While the other islands of the Canary Islands are of a volcanic origin, too, the island of Lanzarote shows it even more: there is still volcanic ash in many places, and while the islanders try very hard to cultivate the island, you will in many parts of the island feel like you are walking over a lunar landscape!